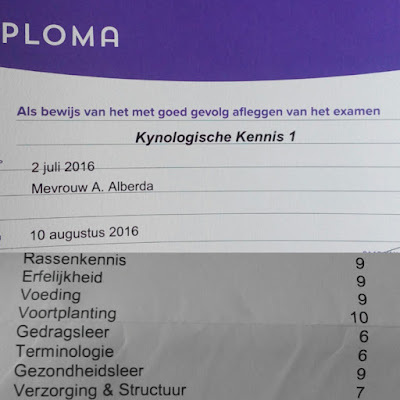 And from that subject on it went into canine terms, most of those terms you find on written reports on dogshows, and I must say I'm happy we get those in the Netherlands, because of that I had it a little bit easier only focusing again on the terms that where more unknown to me. So far so good!!!! about this time I tought I had it in my brains. But then we got nutrition, basics on health, general care for dogs, behaviour ( I don't like that) and rules and regulations concerning our Dutch Law and the Dutch Kennelclub. It really was hard, and I even took days of to go learning. The day of the exam was nerve wrecking, in the beginning we started out with 20 students but in the end there where only 4 of us taking the actual exam. We started with breeds. 50 pictures on a big screen, and after 4 pictures I was confident enough I found it very easy and was so relieved. But then after a short break came the rest of the exam, all questions I had to anwer only right, or wrong. It was terrible, really. With the trial exam I was one of the first to finish, and now I was one of the last persons leaving the room. I think I had some sort of a black out, all the questions seemed not to be related with my study at all. And then we needed to wait, almost 6 weeks passed before we got an email. I read it a few times before I realized I passed my exam!!!!!!! I was so extreme happy, but then again we had to wait for our diploma and our grades to arive in the mail. Because it was so difficult I figured that my grades where ok, but not super. 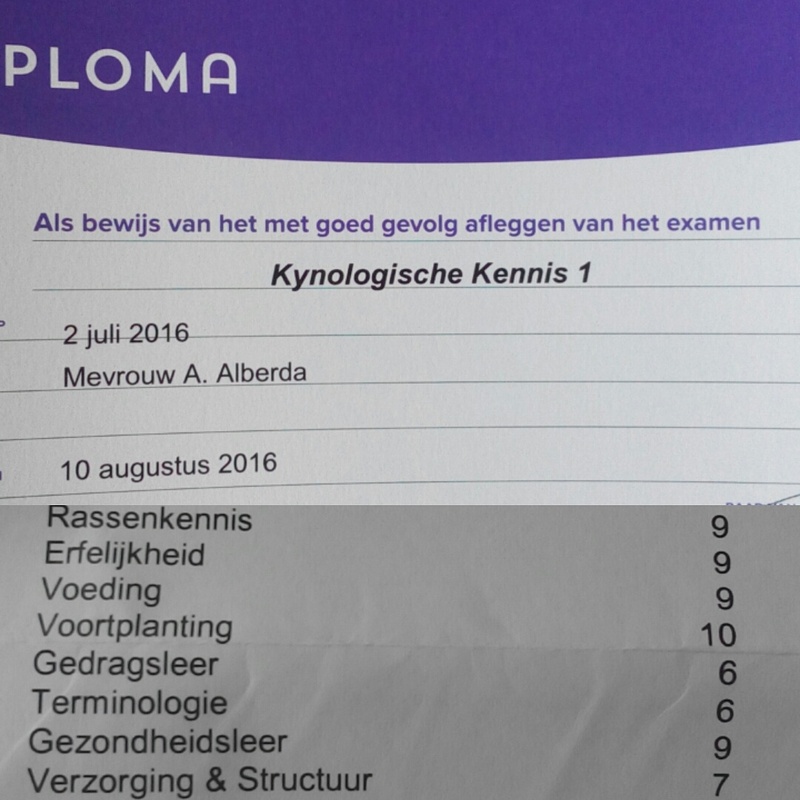 So I was really amazed when I got my grades. What do you do with these classes? Is it for a job?